Have you ever noticed that we Christians use some words rather frequently in a religious or spiritual context, but almost never in what we might call “ordinary” life? I can think of a number, just off the top of my head: grace, covenant, mediator, heart, bless, testimony, saved, fellowship, witness, providence, justification…. And that’s without consulting this slightly irreverent video. And before we move on, can you think of any others? Post them in the comments, because I’m working through my own list in preparation for a whole series on this sort of thing. The thing is, all of these words are ordinary words. They’re not special. They are words that, at one time at least, ordinary people used regularly, whether they were Christian or pagan, spiritual or secular, educated or not educated. They aren’t particularly biblical or spiritual or sacred or “big” or common. They’re just words; they are words that ordinary people spoke in an ordinary context. What do I mean by ordinary words? Well, there are really, in the end, two types of words: ordinary words and “special” words (or, better, there are words that are sometimes used in an “ordinary” way and other times are used in a “special” way). There are, of course, all manner of subcategories that we could devise for these two basic categories, but in the end, when you speak and write you are either speaking “ordinarily” or “specially.” You are either using a word in an ordinary way, or in a particularly significant way. Take, as an example. the word “queue.” If I were British (which I’m not, but we’re reading the UK version of Harry Potter, and so let’s go with it), I could use this word in a normal way as a normal human being: “I’m going to queue up.” I’m getting in line, and no one would think I’m being particularly poetic or technical or pretentious. Of course, if I’m not British, and I said the same exact line at a Chipotle in Philadelphia (sans British accent), people would immediately assume I’m a pretentious snob and therefore not worth talking to. What’s more, there’s a third option; I could be a computer programmer (which I was, in a former life), in which case the same exact line (no pun intended) might refer to an iterative LISP algorithm. Probably not, but you never know! The point is, the same word can be used naturally–that is, as normal human beings would ordinarily use the word in ordinary situations–or unnaturally. The problem arises when we interpret words spoken ordinarily as if they were spoken specially. Just in case I am wrong, I’ll ask a follow-up. When was the last time you heard a non-Christian coworker use the word? When was the last time you saw it in the newspaper (not a quote)? Novel? Netflix show? Movie? So far I haven’t seen the word once in any Harry Potter novels–the concept is there, but not the word–though maybe the internet can correct me on that one. Google has math on this. See the graph! 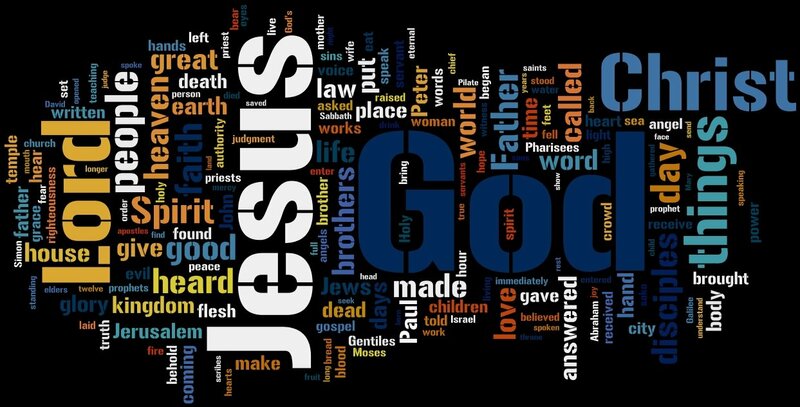 So what does the word mean when it occurs in the Bible, as it does many many times? Before we answer that, let’s get a verse to work with. How about Ephesians 2:8? But notice, Paul has to explicitly affirm that the grace is “the gift of God.” Why does Paul have to say that the grace we receive is unmerited? If “grace” means “unmerited,” why does Paul have to go on and specify it? It’s as if the word “grace” doesn’t inherently include the idea of “unmerited,” and so Paul has to clarify that, in this case, the grace that God shows is “not your own doing.” Why? Not “unmerited favor,” then, but rather: “favor, which in our case is not merited.” There’s a difference! In the former case, the favor is qualified; it implies that God’s favor for you isn’t real favor, it’s a subordinate kind of favor, a metaphorical kind of favor, which we call “unmerited favor.” The latter is more biblical because favor itself isn’t qualified (though the cause of it is): “God favors you! He is as pleased with you as he is with his own Son! You are beautiful and favored by the Lord of the Universe. You are a son of God! Why? Not because of any merit in yourself, but because God gifted you this blessing through Christ.” The difference may appear subtle, but it isn’t. The first definition may be easier to remember, but it implies qualification; the second is more complex, but the favor granted isn’t lessened, but rather caused. The favor isn’t “less than” genuine favor; rather, it is the same kind of favor given to those who are beautiful in God’s eyes (that is Christ), but it is granted by Christ’s work, not our own. All this to say that we Christians need to think more about the words we use and the definitions we give. We encounter a lot of words in the Bible, not to mention our popular Christian sub-culture, that we don’t truly understand. The irony is that we don’t understand them because we have “specialized” them. We have turned ordinary words into special words, and now we only see the special and not the ordinary.